Mini Thunderdomes are tough, dragless 50×5 tubes that crank out two harmonic diffusers. 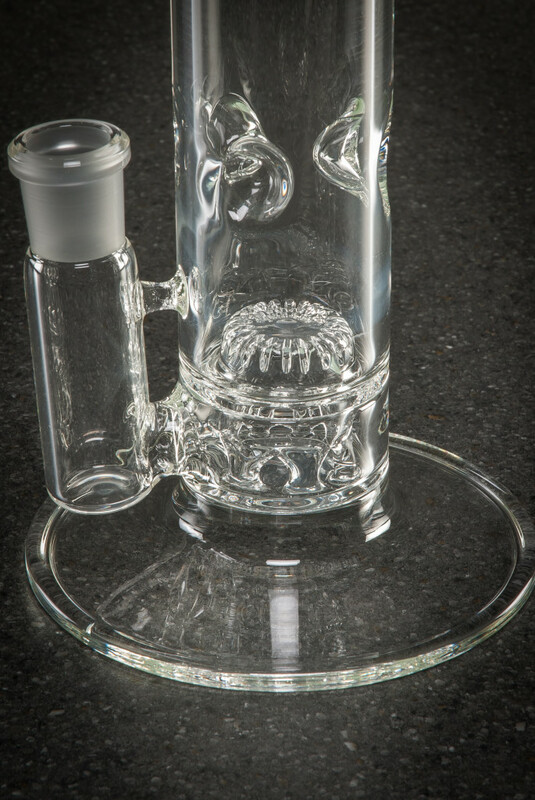 The bottom seal makes a fixed dome that flows up into a stylized inverter showerhead, resembling a ratchet perc but with the cuts set inside the disc, not on the outside. This positioning and choice of cut number utilizes the upward flow of the fixed dome, and compresses it into a second perc perched above the dome. The turbulence and vibration is intense, evidence of a low drag, high diffusion double perc.